What does an unregulated, “free market economy” look like? Let’s travel to La Riconada, Peru – once an outpost for men in the Andes of South America, now an increasingly populous village/town/city, which at approximately 30,000 population, and 16,732 feet above sea level, is reputedly the highest elevated human habitation in the world. Because of an increase in the global price of gold, physicians & attorneys among others, have flocked to the area, seeking their fortunes, to work in a gold mine in the area. 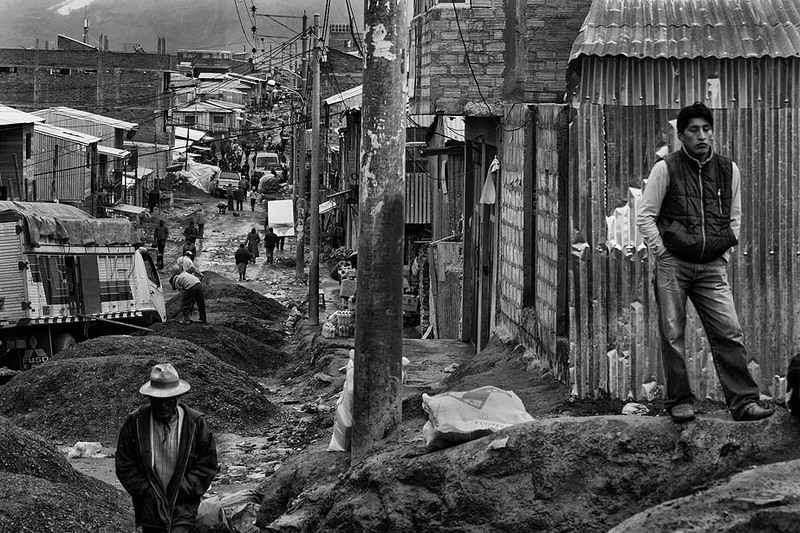 Here are some interesting photos… and heart-wrenching descriptions of what it is like for people to live in an area that has no formal economy, no taxes and no government services. Electricity and cell phone service are reliable but sewage and trash collection are non-existent. Even with the harsh conditions, the city’s population keeps growing. Photo by Michael Robinson Chavez/ Los Angeles Times.